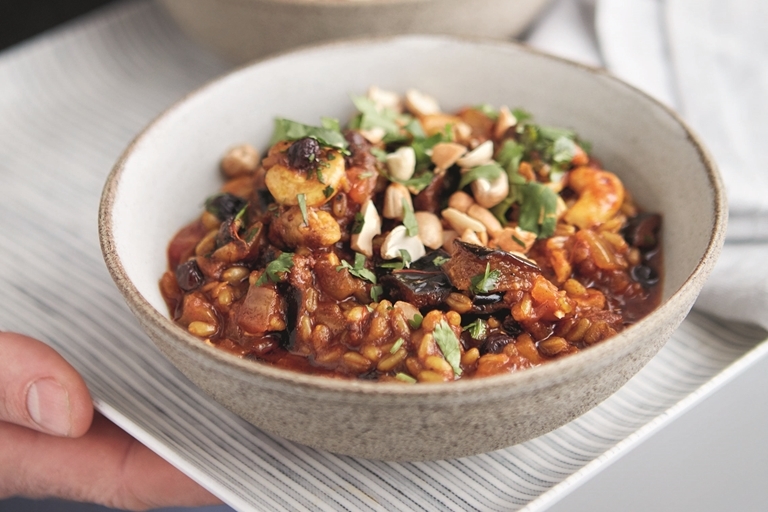 This wonderful vegan tagine recipe is full of fragrant spices, creamy cashews, earthy freekeh grains and soft, yielding aubergine. This recipe is taken from New Classics by Marcus Wareing, published by Harper Collins. Photography by Jonathan Gregson.